Florida Gators guard Noah Locke dribbling during the second half as the Gators defeat the Charleston Southern Buccaneers 76-46. Gator Country photo by David Bowie. Mike White doesn’t talk to his team about postseason. It’s always about the next game or the next play. That was until Saturday. 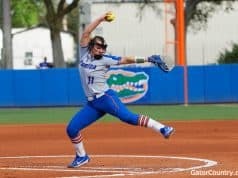 With Florida down in Saturday’s game at TCU after playing on of its worst halves of the season, White dared to utter the P word. There are still 12 games left on the schedule, but with the Gators just barely hanging onto a .500 record in conference play and still holding out for a true signature win, every single one of the remaining games are huge. This team has been a tough one to get a read on. Even White doesn’t know what is going through his guys’ heads half the time. 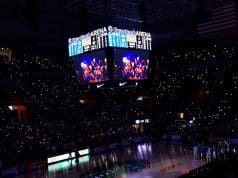 One game, Florida will look like it could go to battle with any Top-10 team in the country, and the next it will look unworthy of even an invitation to the NIT. Noah Locke seems to think White’s halftime plea really hit home for a lot of the players despite ultimately losing that game. Only the next few weeks will tell the real story. As of the latest Bracketology release, Florida is no longer projected to make the tournament. Of course, Locke said that is the last thing on the team’s mind right now, but whether players are looking at projections or not, being a part of March Madness is (and will always be) the goal. 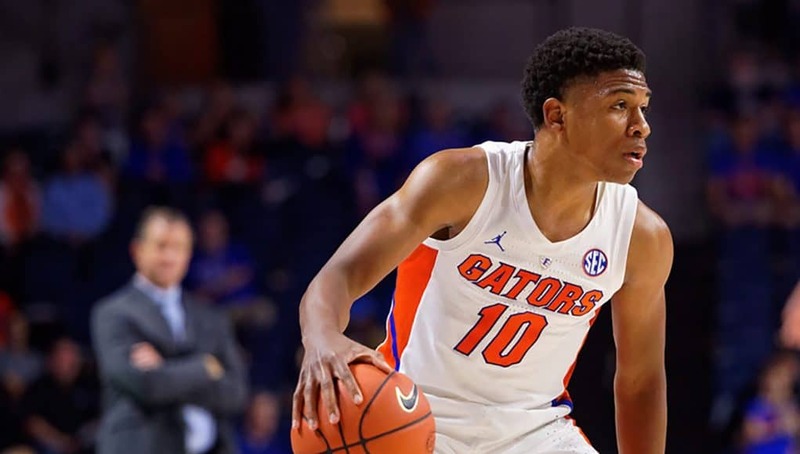 Plenty can change for the Gators between now and then, with a pair of home-and-homes still remaining with ranked Kentucky and LSU as well as a rematch with No. 1 Tennessee on the road. Florida knows there are opportunities for resume-building wins ahead, and it has to take advantage of every one of them.